Is Your Law Firm Making These Social Media Mistakes? Social media in general and its various platforms in particular are not always easy for lawyers to fully understand, much less embrace. Social media engagement also is something that must be maintained over time to be successful. Unfortunately, too many attorneys and other professionals refuse to invest the time and energy needed in order to use social media as a successful public outreach tool, and so end up doing it poorly. Other industries that adopted social media sooner have invested that time and energy into social media plans. They’ve practiced and learned from their mistakes, making them better marketers in the process. Getting the most out of social media requires the three Ps: practice, patience, and perseverance. It requires calculation and investment. It also requires a willingness to overcome preconceived notions about social media. Below are five mistakes attorneys often make regarding social media. 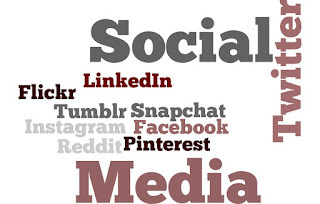 Thinking that simply being on social media equals engagement with target audiences. This couldn’t be further from the truth. Social media platforms such as Facebook, LinkedIn and Twitter allow you to engage with your audiences, but this can be tricky because it requires actual two-way participation. Social media is not like a billboard or a newspaper ad. You can’t just push, push, push out your own content and messaging. It has got to be a real conversation. Deserting a social media account when you’re not the getting results you expected. Great outcomes from social media marketing take careful planning and lots of time. Earning the users’ trust is key, and that can take months, if not years. Posting consistently about current industry happenings, commenting on others’ posts and being part of the conversation can help establish your credibility. Not knowing the difference between social media platforms. For example, Facebook, Twitter and LinkedIn each have different posting and image standards so it’s important to research each platform before diving in. Put in the time and effort to understand each platform and tailor your posts according to each network’s best practices are the best ways to boost the results of your social media marketing. Not tracking and measuring metrics. This can be the most difficult task for attorneys to accomplish for several reasons. First, because many want to be able to draw a straight line between a social media post and a new client, and that often just can’t be done. Second, breaking down metrics is time-consuming and requires an in-depth understanding of each platform in order to determine whether what you are doing is working. Not driving your social traffic to your website. Social media offers an opportunity for law firms to engage online with all target audiences and, by doing so, to be seen as a valuable resource. When a potential client or referral source has a legal issue, guess who they will be calling first? The firm that comes to mind first. That's where content marketing comes in. Sharing links to your firm’s blog posts about trends in the industry or to news items should point back to the firm's website. This will help you establish a following and keep you top of mind for the day when they do need your services. The only way to truly know if your social media marketing plan is working is to define SMART goals – specific, measurable, achievable, results-focused, and time-bound. What are your goals for your social media marketing plan? What tools or approaches have worked for you? We’d love to hear your thoughts. Do you roll out from under the covers in the morning looking forward to the end of the day when you can crawl back into bed? Perhaps you find yourself drifting off while typing an email at work. Or maybe you’re one of those people asking for more hours in the day while trying to hold back a yawn. You, my friend, are not alone. The United States is crawling with people who lack the proper amount of snooze time or a seriously good night’s sleep. I don’t think you need a scientist to tell you many of us need more sleep, but, eye-opening studies on sleep and sleep disorders do abound. My eyelids get heavy during the day from losing a few hours of sleep a few nights in a row. My coworkers regularly need that extra cup of coffee in the afternoon to recharge them ‘til quitting time. Seems our collective lack of sleep does more than just make us yawn and want a mid-afternoon nap at work. It is destructive to our health and happiness, as well as our pocketbooks. According to a recent Washington Post article, corporate America is noticing its employees are not sleeping well. The C-suites are discovering that the lack of sleep is affecting not only employee moods, but also work accuracy and productivity. As a result, some employers have started working in sleep as a part of ‘get fit’ programs they offer to their employees – a great wellness tactic, as poor quality sleep is now linked to some major health problems such as diabetes, stroke and heart disease. An article in Lehigh Valley Business by Cedar Crest College professor, Micah Sadigh, Ph.D. gives more than a few statistics based on a recent Journal of Science study that indicates that the kinds of sleep we get make a tremendous difference in how we think and problem solve. There are many differences between non-rapid eye movement sleep – the time before deep sleep when we don’t dream and rapid eye movement (REM) sleep where we have reached the stage of deep slumber and we dream and truly rest. Making sure we achieve REM is important to our mental, psychological and physical well-being. Set a regular bedtime and stick to it. Get in bed at the same time, Every. Single. Night. I know it’s hard to do. Weekends bring great temptations to think we’ll make up for lost sleep, but sticking to a set time for bed will help keep you on track to sleep well. Wake up at the same time every day. If you get a good, quality night’s sleep, it’s been found that you should wake up without an alarm clock. However, until you get that pattern down, keep your wake up time the same, even on weekends. If you need to nap, be smart about it and do it for less than an hour, midday. Napping can be refreshing and helpful, but if it affects your sleep at night consider eliminating naps. Turn off the TV and put the electronic devices away at least one hour before you put your head down on the pillow. Backlit devices and the television tend to suppress the production of the hormone melatonin which helps to bring on sleep. Sleep in a dark, cool room. A darker room is conducive to better sleep, so cover digital displays on clocks, turn off nightlights, use room darkening drapes and be sure the temperature is no higher than 65°. Avoid caffeine, alcohol and ingesting too many liquids before bed. All three can be a hindrance to quality sleep. A glass of wine or scotch on the rocks may help you to fall asleep faster, but it can cause you to wake up after a few hours and leave you tossing and turning the rest of the night. Caffeine’s effects can last as long as 10 to 12 hours after ingestion, so it might be helpful to limit it after lunch. Of course, drinking too much of any liquid can make trekking back and forth to the bathroom several times a night a true sleep disturbance. Looking for that magical way to relax and bring on sleep on quickly? The article, A Life Hack For Sleep: The 4-7-8 Breathing Exercise Will Supposedly Put You To Sleep In Just 60 Seconds by Lizette Borrelli for MedicalDaily.com has a breathing exercise that might be just what the doctor ordered.